I have been a bit behind on my blog reading and I didn’t know you were doing the HSF! Have you been enjoying it? You certainly seem to have been quite prodigious in your work! The stays are absolutely gorgeous and I think I might use your stays tutorial and brave a bit of drafting for the undergarmet challenge. 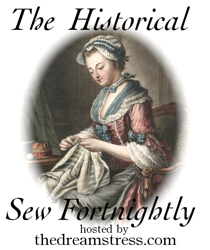 I only decided to do the HSF after the first week of January, and I had already been completing some sewing for this year’s Jane Austen Festival in Australia. (Hence the reason I look so productive!) 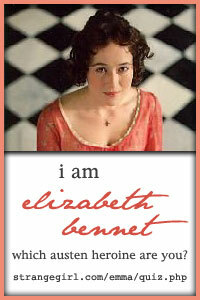 I saw your name on the list and have been meaning to get over to your blog to see what you are doing. There are a few of my blogging friends doing it, which is great! Drafting is a challenge. I must say that I work better with at least some pictures in front of me. 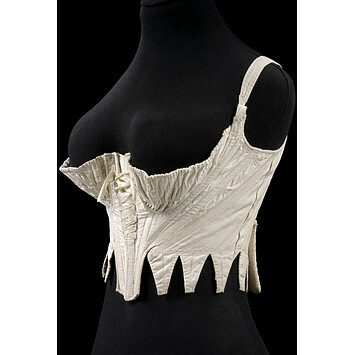 (I need to get some books like “Corsets and Crinolines”, or something like that!) 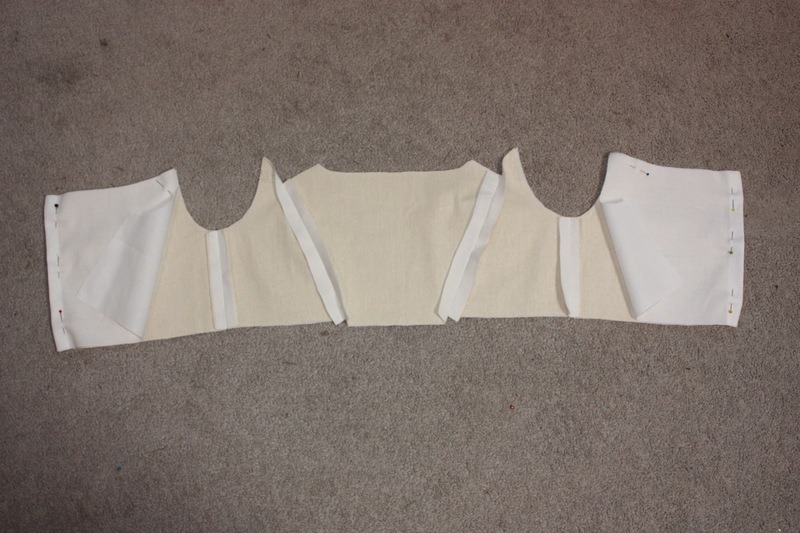 At least the short stays are relatively simple as far as corsets go, in terms of pattern pieces. 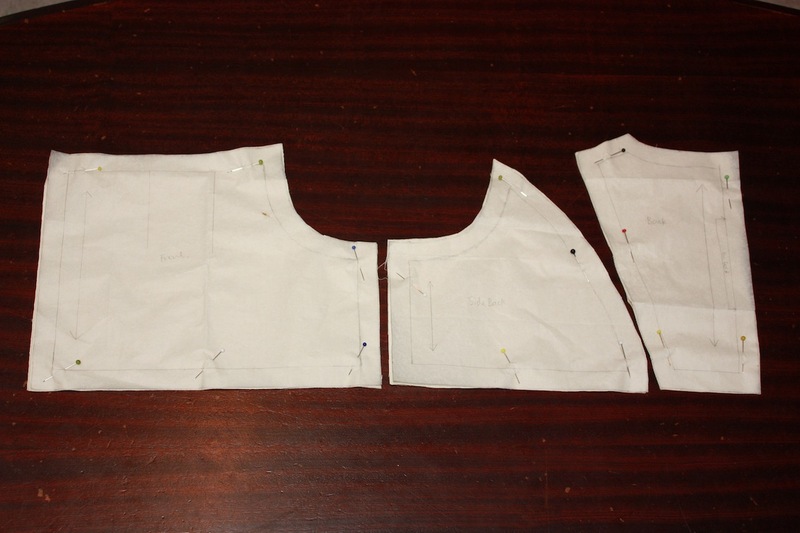 My suggestions are to make a mock-up or toile and go to town cutting and fitting with it (make sure your grain is always perpendicular to the waistline though). I look forward to seeing what you come up with!! If you end up desperately frustrated (which I have before! 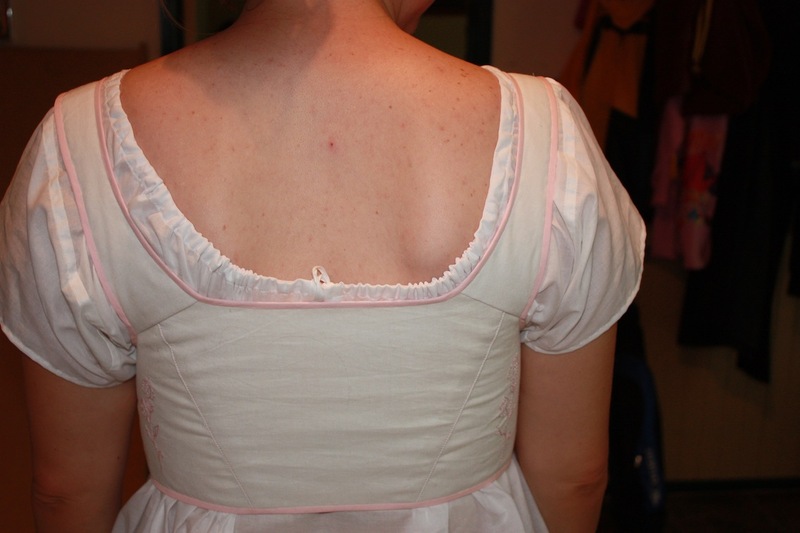 ), my sister used the Sense and Sensibility pattern for her short stays (available online), and quite liked it. Kell, your blog is so awesome. You’re doing such an amazing job over here! Thanks so much Kelly! I am really having fun with it (which is what counts most of all, I think!). Cording is just sewing a basic channel or casing and then inserting cord (like thin cotton rope or a drawstring type of stuff) into it. 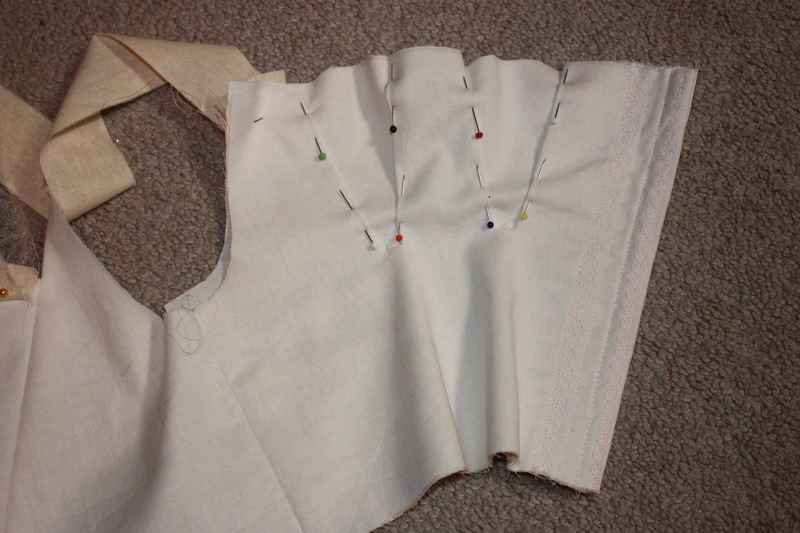 Cording (in terms of corset making) is not as stiff or as restrictive as boning, but still helps support the desired shape/silhouette of the body. They also used to use cording in Regency times for hemlines, to help them stand out and not cling to the legs. In earlier periods cording could be used as decoration as well. It does 🙂 Many thanks! I’m trying to decide what sort of cord to buy to make my regency stays and there were so many different types I was getting confused! I’ve seen some people just using yarn and some seems much sturdier stuff. Do you have a recommendation? For all of my cording on costumes, I have used a plain white (or natural-coloured) cotton cord. It usually comes in a variety of thicknesses. For hemlines that I want to cord to help them stand out I usually use a thicker cord that is about 1cm in diameter. 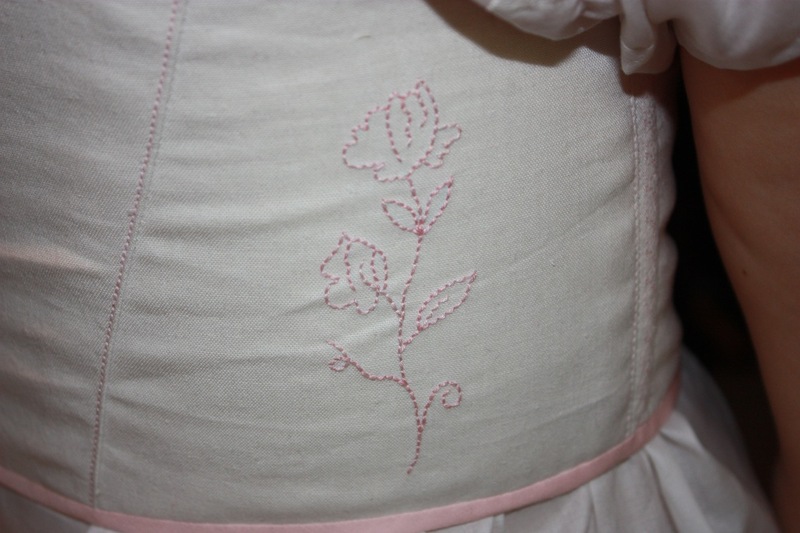 For Regency corset making I usually use a thinner cord of about 3mm-5mm in diameter. There are lots of different types of cord, but I find cotton cord the cheapest where I live. 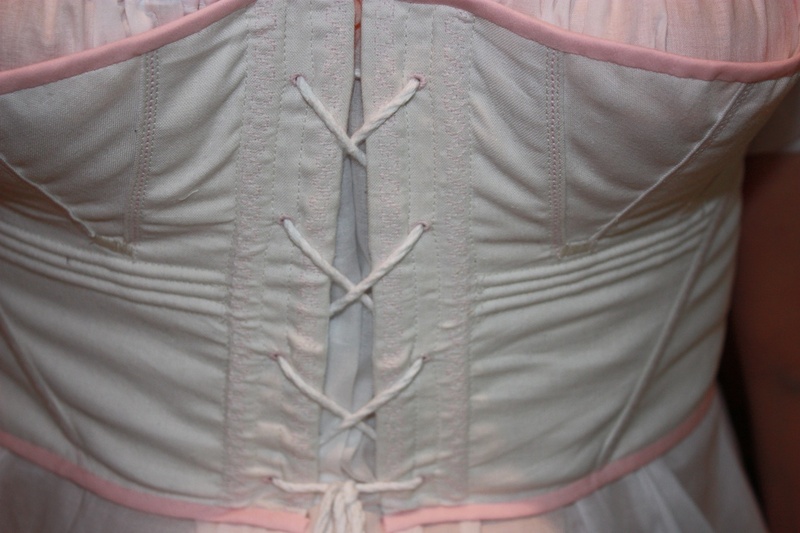 It probably doesnt matter how sturdy it is, as far as being hard-wearing or strong, because it merely sits inside the layers of your corset. However, you may want something stiffer or thicker than yarn (which to me sounds a bit too “bendy” or “loose” or not dense enough?). I would suggest buying a little bit of some cording (maybe just 30cm) and practising on two layers of scrap fabric. Sew some channels (maybe three) and thread the cording through, as you might be surprised at how much it stiffens the material once it is sandwiched between layers of fabric. That might help you decide what sort and what thickness of cording to go with… Sometimes experimentation is better than buying all your supplies without knowing if it will work out the way you want it to! Thanks very much for the link! This project has taken a back seat as I prepare for another event but I am definitely going to refer back to this when I do finally get round to it! 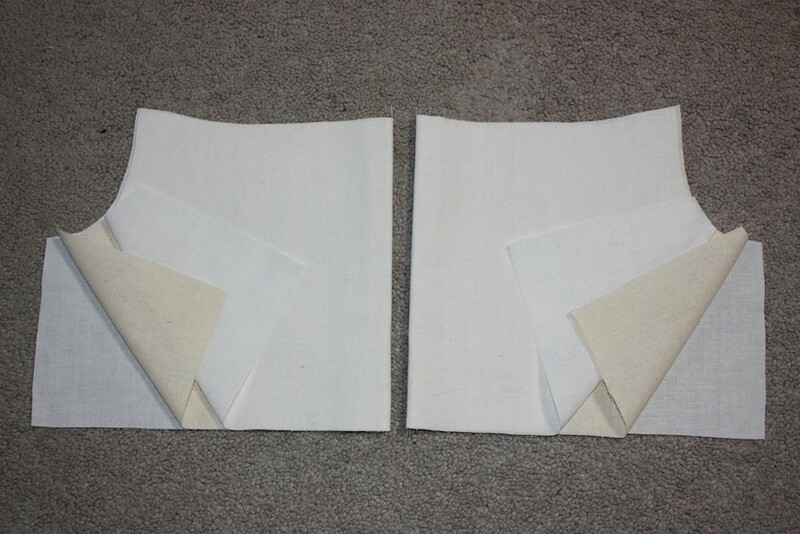 Could these be made and used without straps? Maybe. I suppose it would be a similar process to having a strapless bra in the sense that when there is no straps you need to make sure you have enough other support. The bigger the bust, the longer a strapless bra needs to be in order to provide more support for the bust lower down. You may also need more bones. In terms of obtaining the “Regency bust shelf” that was desirable in that period without straps, that will be more difficult, as the straps are important in holding the bust in that high position.